Its Georgian England audience would have immediately recognized the personality types. Reputations, and ill reputes, were made and broken as easily as promises, from a cast of characters with names such as Lady Sneerwell, her servant Snake, Mrs Candour, and Sir Benjamin Backbite. And, by the way, a “demirep” is a woman whose chastity is considered doubtful. Sources: Music, Costumes, and Project Gutenberg. The School for Scandal came into my ken years ago through Samuel Barber’s Overture to The School for Scandal, a concert overture that was Barber’s first work for full orchestra. 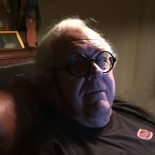 Recently, Sirius XM “Symphony Hall” commentator Preston Trombly prefaced this Barber work by praising Sheridan’s comedy. Costume on the Stage: A Book of Costume Designs, devotes a chapter to The School for Scandal and its costumes by American designer Jan Skalický. 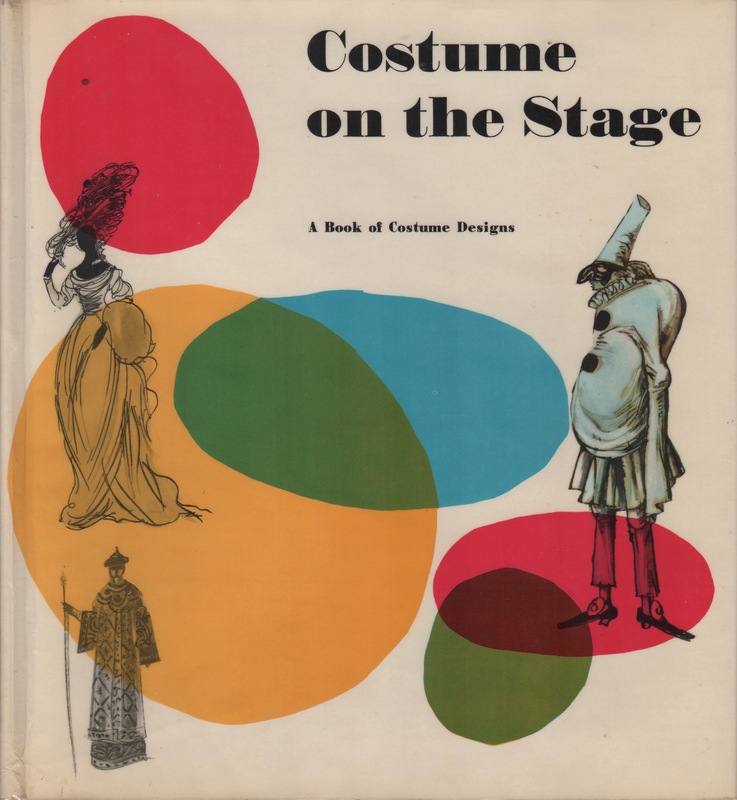 Costume on the Stage: A Book of Costume Designs, edited by František Tröster, introduction by Ludmila Vachtová, text by Milan Lukeš, Artia Prague, 1962. Secondhand copies are listed at abe.com. Last, Project Gutenberg has included the 1821 version of The School for Scandal among its free eBooks. The Play’s Performances. The School for Scandal opened at London’s Theatre Royal, Drury Lane, on May 8, 1777. At the time, Sheridan had part interest in the Theatre Royal; success of the play gave him the cash to buy its remaining shares. 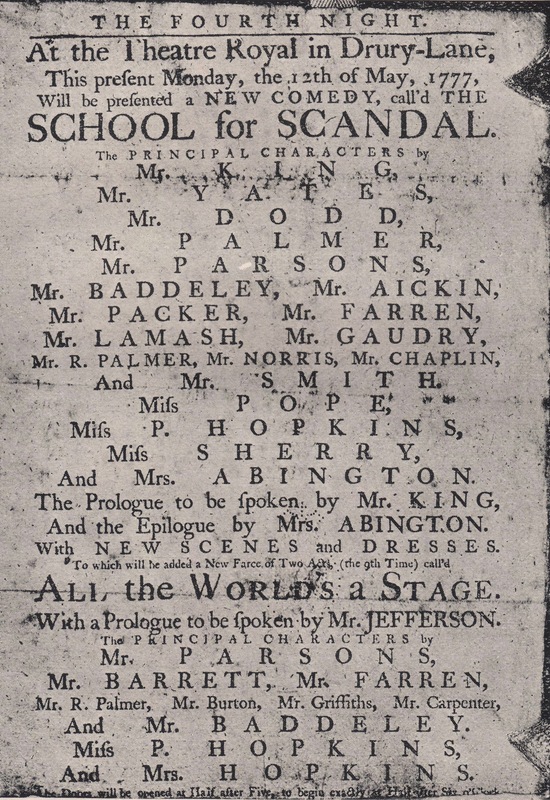 A playbill announcing the fourth performance of The School for Scandal, May 12, 1777. Of Course, a Scandalous Plot. A most entertaining production of The School for Scandal is posted at YouTube. Lady Sneerwell. 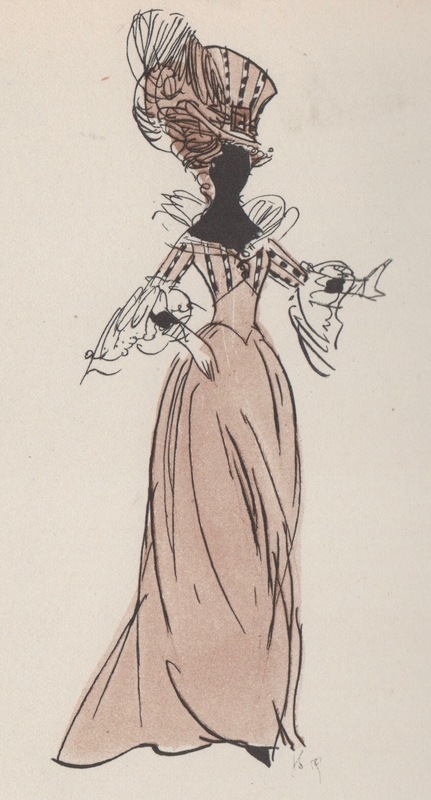 This and the following costume sketches by Jan Skalický, images from Costumes on the Stage. Here’s a brief summary: Lady Sneerwell is striving to break up a love affair between Charles Surface and Maria, ward of Sir Peter Teazle. Part of a clique of scandalmongers, Sneerwell wants the wild, extravagant Charles for herself. Joseph Surface, brother of Charles, is respected by society, though he’s a hypocrite to the core. Joseph has his eye on Maria too, or at least on her fortune. Maria recognizes this, but Sir Peter is fooled by Joseph’s righteous exterior. Sir Oliver Surface, the young men’s uncle, arrives from abroad. In disguise, he learns of Charles’ high sense of honor and Joseph’s true colors. Or are those honour and colours? 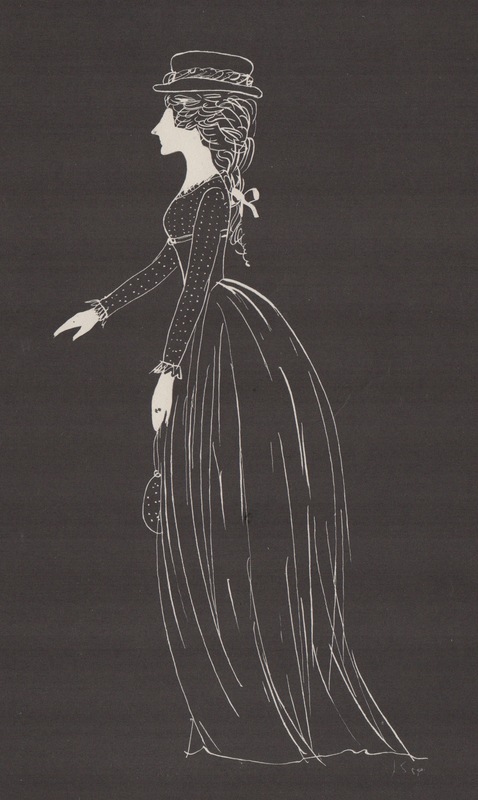 Lady Teazle, Sir Peter’s wife, has been having a tryst with Joseph, gets caught hiding behind a screen, and then convinces her husband that the affair was merely in the name of fashion. 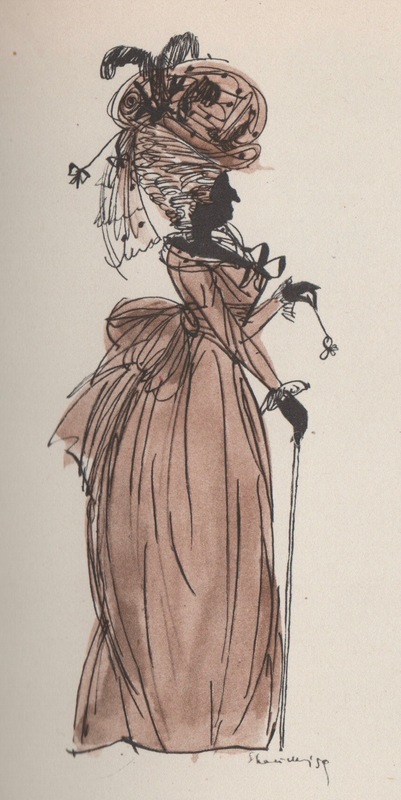 This entry was posted on March 10, 2019 by simanaitissays in And Furthermore... and tagged "Costumes on the Stage" Frantisek Troster, "The School for Scandal" Richard Brisley Sheridan, Jan Skalicky theater costume designer, Lady Sneerwell; Snake; Mrs Candour; Lady Teazle; Sir Benjamin Backbite--"The School for Scandal" characters, Preston Trombly XM Sirius "Symphony Hall", Project Gutenberg free eBooks, Samuel Barber "Overture for the School for Scandal.